I have put off writing this, as it’s the last thing I get to contribute to The Minaret but, as always, I’ve got to meet the deadline. While graduating early has been a blessing for my student loan debt, I am sad to leave this truly wonderful staff. In my time here, I have been an opinion writer, the features editor and the head copy editor; I wouldn’t have had it any other way. Now, looking back, I can see I’ve learned a lot and I have some people to thank for that. Thank you to my freshman year opinion editors who taught me how to fully support an argument — which should help me in law school. Thanks to Capouya, who helped first helped me figure out feature writing and subsequently helped me teach it to my writers. Thanks to Bianca for always being on top of InDesign and having office dance parties to Adele when the nights got late. Thanks to Tess for getting me involved as an editor this semester after my last gig ended. Thanks to our adviser, Dr. Wheeler, the professors who helped me along the way, and to all of our supporters and readers. And thanks to Katelyn who takes on this role next semester. I learned a lot, but I also had a lot of fun with The Minaret. I’ll miss ranking local pizza places by ordering pizza for the office. I’ll miss changing other sections’ screensavers to weird pictures when they aren’t in the office. I’ll miss making hats out of old newspapers while waiting for pages to be looked over. I’ll miss Bianca’s throwback music. I’ll miss the trips to the CMA conference (Texas, Georgia). But, most of all, I’ll miss the incredible staff. There are some things I won’t feel bad about leaving behind, though. I’ll be glad not to have the server fail on Tuesday night, or have a fire drill during layout, or have to write up an article just before deadline because that writer who kept promising they would submit their piece never did. There’s been stress, sure, but I’ve loved it — even when in the moment I hated it. I look forward to where life is taking me, but I’ll always cherish my time with The Minaret. It’s been a great two and a half years. 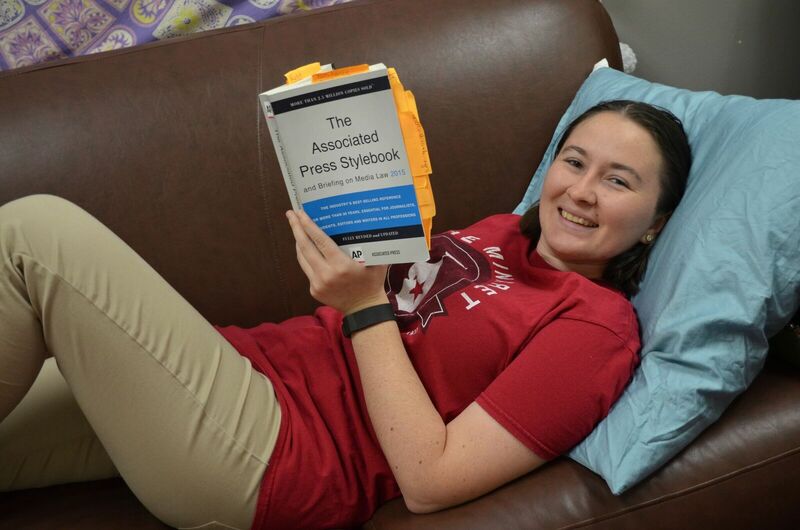 Rebecca Turner is graduating as head copy editor of The Minaret. She served as News editor in 2015-2016. Read more of her stories here, and contact her at rebecca.turner@theminaretonline.com.